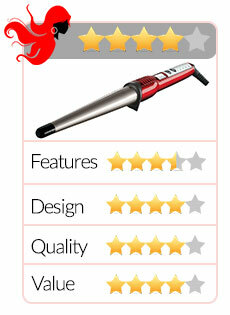 Conair YOU Curl Review - The Best Conair Curling Wand? Your hair is your crowning glory, and you want it to look sassy and luxurious at the same time without going over your budget. It’s time to give yourself the Conair Curling Wand, the new innovative hairstyling tool that gives you instant curls that are bouncy, small, and tight or smooth, silky and loose waves. 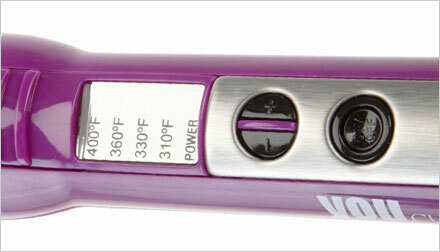 The new Conair wand is an “instant hair stylist” by itself. Best Value on the Conair You Curl at Amazon – Click Here! The Conair YOU Curl XL Ceramic Wand’s cone-shaped barrel is clamp-free. For medium curls, you can tightly wind sections of your hair around this barrel, hold it for a few seconds and you’re done. If you want looser waves, wrap wider hair sections around it, and for a more vivacious look, leave several inches of hair straight at its root and don’t wrap your hair all the way down around the barrel. Advanced tourmaline ceramic technology keeps hair free from fuzz even after styling. No clamps to prevent snagging and tangling of hair while styling. Quick heat up time of 30 seconds. Up to 400°F heating capacity. LED indicators show four other levels of heat settings and display the 30-second instant heat. Comes with a limited, five year warranty. Technology of its tourmaline ceramic design allows heat to be distributed evenly. Even temperature is maintained by the barrel while the Conair YOU Curl XL is in use. Hair is free from static results after styling. No hot spots that may cause damage to hair created by the product while in use. Comes with a heat-resistant, three fingered glove to ensure safety for the fingers and hand while styling. Easy to use by just wrapping or winding hair sections around the barrel. Power cord’s line is of professional length. Its quick heat up time is an advantage for those with busy schedules. Capable of creating unique spiral curls. Power cord comes with a cable clip for storage. The long barrel easily accommodates long hair. Multiple heat settings give you several choices. Even thick hair can be wound up the barrel. Its “no clamp” design allows for curling hair that is close to the scalp for added volume to hair roots. Power cord easily swivels to 360° around the iron base for convenient maneuvering around the head. No crimping marks or indention imprints on the hair after styling because of its clamp-free design. There is no need to use other products on the hair because the curls created hold up extremely well. The glove that comes with the product is for three fingers and is just for one hand. Not suitable for short hair or hair that is above shoulder length. The on and off button gets inadvertently turned off easily because of its position on the wand. Can cause burns on hands and fingers if not handled carefully. Some customers found the product hard to operate. Out of 492 Conair YOU Curl reviews on Amazon, 302 gave the product a rating of between 4.5 and 5 stars, meaning, customers overwhelmingly found it satisfactory. The fact that it has one more year of warranty than another leading brand has made a lot of difference for most of the customers, even if the Conair has a few dollars more on its price tag. The fact that the Conair YOU Curl doesn’t have clamps or clips makes it even more popular amongst customers because they don’t acquire kinks, indention imprints, and clip or clamp marks on their hair. According to a majority of customer reviews, this “no clamp” design makes the hair’s curls or waves more natural-looking. Also, the majority of customer reviews made it a point to mention the time the product saved them because of its quick heat up feature. The cons which some customers wrote about have not reduced the number of those who continue to use the Conair YOU Curl Wand. Customers who inadvertently burned hands or fingers were advised by other customers to “practice” using the product and watching videos on how to use it. Customers with thick, past shoulder length hair recommend the use of the product for hair like theirs. Which brings the only real downside, as far as customer reviewers are concerned, of this particular Conair model not being very suitable for hair with length above the shoulders. According to numerous customer reviews online, the Conair YOU Curl XL Ceramic Wand is quite a steal for its price because unlike other inexpensive hairstyling tools, this Conair curling wand delivers on its promises. …Then without a doubt, the Conair wand is a must for you. Check out this product on Amazon today. 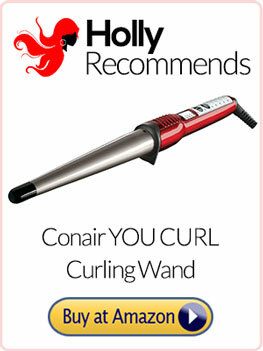 For Fast Delivery – CLICK HERE to Get the Conair YOU Curl XL Ceramic Wand From Amazon!